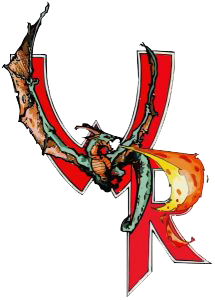 In Wyvern Rising your character is the role that you play. You determine what your character will be like and what skills they will possess. Your Character’s likes, dislikes, attitudes and ambitions are all of your choosing. A well-designed character will grow and develop with experience as the game progresses. The more thought you put into your Character, and the way you portray that persona, will affect the way in which others react to you. A solid character concept will help you to get more enjoyment from the game and will help the game staff create story lines that are of interest to you. What kind of lifestyle best suits your Character? Combat with weapons; use of magic; familiarity with the forest; espionage and covert activities; science and alchemy; or perhaps a tradesman or merchant? What is your Character’s view on law and society? Do you have strong moral convictions? Do you like to go adventuring or are you content chatting and drinking with your companions in the local tavern? Are you a loner, or do you like to travel with a band of companions? What are your ambitions – wealth, fame, adventure, power? What social class were you born into? What are your parents’ names? Do you have any brothers or sisters? Why have you come to the new continent? After you are able to answer these questions, we recommend writing a Character History. This is a brief (1-3 pages) biography of your character. This offers the opportunity for you to truly define who your Character is. (It will also get you extra role-playing points.) Your history can take the form of a story, journal, or memories from your Character. It should include the information developed from the questions above, as well as important events from your character’s past. Remember, the Character History helps you to develop your Character and assists the game directors in providing stories and plots that may have some special relevance for you. Next, choose what race your character will be. There are several options available. Review the Character Races section for descriptions of the various races available. Selecting an appropriate race is extremely important. You must be willing to abide by the costuming and role-playing restrictions that apply to the race you choose. Also, some races are more inclined to certain skills and trades than are others. All will have a series of racial benefits and detriments that distinguish them from other peoples. Humans are by far the most common race and the most adaptable. If you are uncertain what race you want your character to be, or if you are new to role-playing, it may be in your best interest to choose Human. If you choose a non-human race, you may have racial skills available for purchase in addition to those listed on the skill spheres. Complete racial ability listings will be made available to players only after that player has confirmed their selection of the race. See a game director if you choose any non-human race. We reserve the option to restrict the number of Characters of any non-Human race due to our desire to maintain a proper population balance. Additionally, players who show themselves to be incapable of adhering to the costuming and role-playing requirements of a non-human race may have their privileges revoked and made to play only Human Characters. Now that you understand who your character will be, it’s time to give them the skills they will use to survive in a dangerous world. Skills are purchased with Build points. The number of Build points available will vary depending upon what race you have chosen for your character. Skills are purchased from one or more of the twenty skill spheres. Choose which three of the spheres will be your Character’s Primary Skill Sphere (PSS). These should contain the skills that are most aligned with your character’s lifestyle. Keep in mind, you are not limited to your chosen PSS, but it will be more expensive, in Build points, to purchase skills from other paths. You do not need to pick all of your PSS to start. You could pick all, one, or none! Keep in mind that all skills purchased outside of your PSSs cost double Build to purchase. This includes if you purchase a skill from a sphere and later decide to include it in your PSS. Lastly, all skills labeled a ‘Basic Skill’ are always base Build cost, no matter what sphere they happen to land in. Ability points are expended in order to use various skills found within the game. A character gets to choose a Primary, Secondary, and Tertiary ability score to further customize their character. This will largely affect what types of skills your character will be most proficient at, based on the type of Skill Spheres chosen during play. Choosing your Ability Points doesn’t have to been done all at once, but you must decide what an Ability Point is upon purchasing it. For example the first time your character purchases END, you must choose if it is Primary, Secondary, or Tertiary. Primary Ability Points are purchased at a rate of 1 Build for 2 Ability Points. Secondary Ability Points are purchased at a rate of 2 Build for 3 Ability Points. Tertiary Ability Points are purchased at a rate of 1 Build for 1 Ability Point. Below is a list of the Ability Points found within Wyvern Rising. Each player receives a number of Build points to create a new character. Build points are spent to purchase skills, abilities, and additional Body. These initial Build points are free and vary depending upon what race you have chosen. This starting Build, alongside your racial skills and abilities, allow you to create a character that has the flavor and feel of the kind of character you wish to play. All subsequent Build points must be earned. There are three ways to earn more Build points. The first is to attend events. Each weekend event in which your character participates earns you three (3) Build points. All you have to do is show up, play the game, work an NPC shift, have fun and you will get three Build. Next, you have the opportunity to earn even more Build points per event by showing good and consistent role-playing. All game directors, and some other designated individuals, will be actively observing the PC’s for individuals who role-play damage, and don’t break character. These people will be rewarded with Role-Playing (RP) points that can be converted to Build points. Each 100 RP points you receive will earn one additional Build. There is no limit to the number of Role-Playing points you can receive in an event, but a good role-player will average about 100-300 RP. Remember, you are an actor and everyone else is your audience. You are constantly being observed and evaluated, so stay in character. Avoid talking about things that don’t exist in game. Conversations about football and video games are completely inappropriate and break the entire mood of the game. The third way to receive additional Build points is through service to the Wyvern Group. Running an event weekend is a lot of work and requires huge amounts of preparation. We are always very thankful for any assistance you can offer, and we will reward you with Quarter Build Cards (QBCs). Four Quarter Build Cards equal one (1) Build, and a player can convert up to eight (8) for two (2) Build every event. QBCs will be given for tasks like arriving early to help set up the camp or staying late to help clean up. There are always projects to be done between events as well, such as constructing, cleaning or organizing props and costumes or preparing character cards and skill tags. The amount of cards awarded will vary with the time and task. Quarter Build Cards can also be earned by making donations to the game. We are constantly in need of well-constructed boffer weapons, spell packets, and costumes. Additionally, we will accept candles, masks, and various other props that will add to the fantasy atmosphere. Cards will be awarded according to quantity and relative value of the items. Acquiring Build points for skills and abilities is the most obvious way to advance your character. It is not, however, the only way. If you crave wealth, there are plenty of opportunities to find, earn, or steal money and precious items. You never know when you might find a small chest of coins or jewels while rummaging through an ancient ruin. If you possess a trade or useful skill, you might consider making a living from it. Sometimes hard work is the best way to pay the bills. Thieving is a possibility if you are so inclined, but if you are caught, justice can be swift and unforgiving. Perhaps you have the ability and ambition to be a leader of men. You could organize a trade guild or become involved in politics or public life. There are those, however, who seek only knowledge and self-fulfillment. Some find it in books and scrolls, some in the wild, living wilderness. Some others turn their heads to the Deities for enlightenment. Still others have found paths and spheres not tread by the common man…. All these opportunities wait for those who are bold enough, wise enough, or foolhardy enough to seek them. If you play your character consistently and with depth, those of like minds will find you and lead you, or perhaps follow you, to new horizons. Once you have created a character you will be issued a character card. Your character card is a record of all of your character’s Ability Points, Body Points, Build Points, skills, and Role-Playing Points. When you check in before each event you will be given an envelope with your character card in it and when you check out at the end of the event you must turn in your character card so that it may be updated. New skills that you have learned, as well as RP that you have earned during an event are often recorded on the back of your character card. You must have your character card on you at all times. It serves as a record that you are playing a valid character and are not cheating. Failing to produce your character card when requested will cause your character to instantly fall into the third phase of the Death Count (see Death and Resurrection for more information on the Death Count). We recommend that you keep your character card in a place on your body or gear that you know it will not fall out of. A phys-rep is a physical representation and refers to any item that is used in place of or to represent some other item. Boffer weapons are phys-reps for real weapons. Some phys-reps used in the game require special cards or tags. Every weapon and piece of armor a character possesses requires a Weapon Card or Armor Card. These cards list the attributes of the weapon or armor such as what materials they are made out of, any special properties they have, which character owns them, and how many armor points they are worth. Other special items such as potions or magical gems may be represented either by a phys-rep or an item tag. An item tag is sometimes used to represent an item instead of or in addition to a phys-rep. Players must have phys-reps for any items larger than the palm of a hand that they carry on their person. Palm-sized or smaller items may be represented by an item tag. Larger items that a player does not have a phys-rep for must remain in a cabin or other appropriate location.